Contra Dancing is done by all ages, all over the USA, and in fact, all over the world, though it is considered American folk dancing. It bears some resemblance to Square Dancing, but has some significant differences. All the dances are done to live music, and in fact, that is the tradition not just in Los Angeles, but across the country. The first question that might come to mind upon watching the above example, is, “how do they know how to do it?” Contra dancing is called. That is, a caller “walks through” the dance pattern a time or two, then it starts with the music and the caller continues to call out the pattern. After awhile, the caller may choose to stop calling and let the dancers keep repeating the pattern themselves. Near the end, the caller will come back in and pick up the calling again until the end of the dance which usually ends with a partner swing. In addition, many dances (in L.A., almost all of them), have a beginners workshop that starts about 30 minutes before the actual dance, where the terms and moves are defined and demonstrated. The same terminology is used all over the country, so once you learn it in one location you can dance elsewhere and you’ll already know the moves. Contra dance differs from Square dance in that Contra dance is done in lines rather than in a 4-couple square. Many of the terms are the same in both Contra and Square dancing, so if you remember any of the terms from old school days or previous occasions you’re already halfway there. Now and then, a Contra dance caller may even call a Square dance or two during the evening’s dance. Footwork in Contra dancing is very simple. Generally it’s just a walking step to the music. 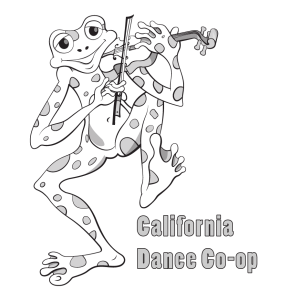 There are a couple of moves where starting on the right or left may be important, but generally Contra dancing is more about body-position in relationship to the other dancers, than it is about what order you put your feet down. In the lines, after every cycle through the dance pattern (64 beats of music), each couple will progress down the line to a new couple where they will do the pattern anew. Though the pattern is defined, there are some opportunities for improvising by experienced dancers who may add some extra turns or twirls to the pattern as time and space permits. Probably the best way to get an idea what Contra Dancing is like is to watch people doing it. There are several YouTube videos on the subject that are worth checking out. You can simply enter “Contra Dance” as a YouTube search. We can’t take credit for these videos, if you want to know more about a particular one check out who uploaded them to YouTube which appears on the right side of the YouTube page for the video.